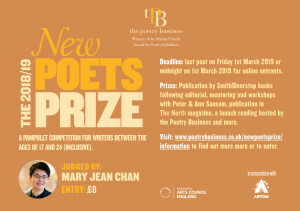 Deadline: last post, 1st March; midnight, March 1st for online entrants. book vouchers from Inpress; and more. 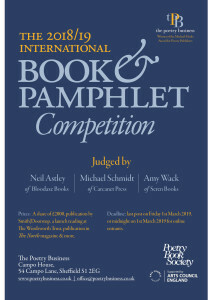 and members of the Poetry Society eligible for discounted fee: £25.